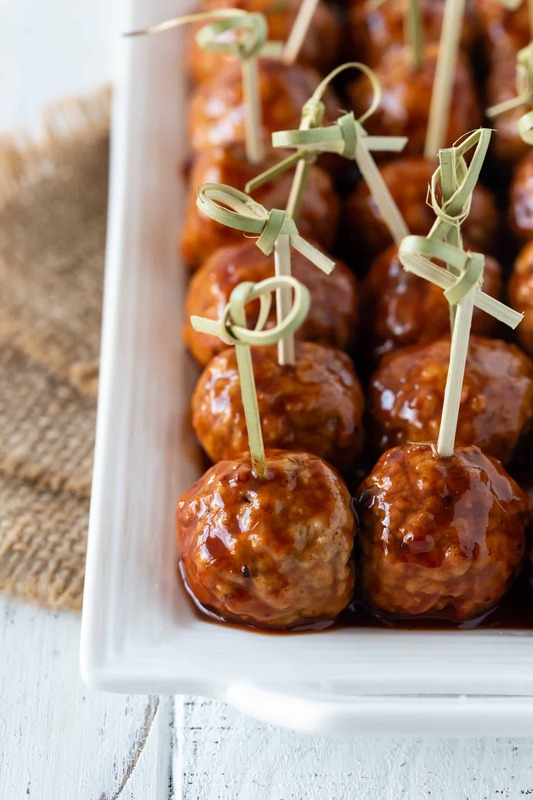 Cherry Chipotle Barbecue Meatballs may just be the perfect tailgating food around. Spicy and sweet, they pair perfectly with a nice cold beer. Fall is my favorite season for a number of reasons, but tops on my list has to be college football. Football season is a time when eating appetizers for a meal becomes completely appropriate, and that, my friends, makes me happy. 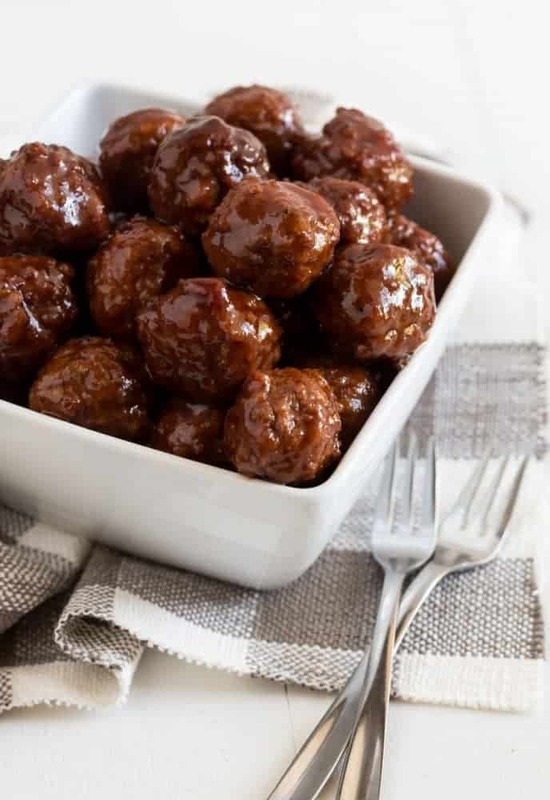 Let me introduce you to the MVP of tailgating season: Cherry Chipotle Barbecue Meatballs. Can I tell you how amazingly delicious (and easy) they are? These Cherry Chipotle Barbecue Meatballs have a total of 5 ingredients (6 if you count a ½ cup of water), all thrown in the slow cooker and heated through for 2-3 hours. The aroma will make your mouth water as you are waiting. 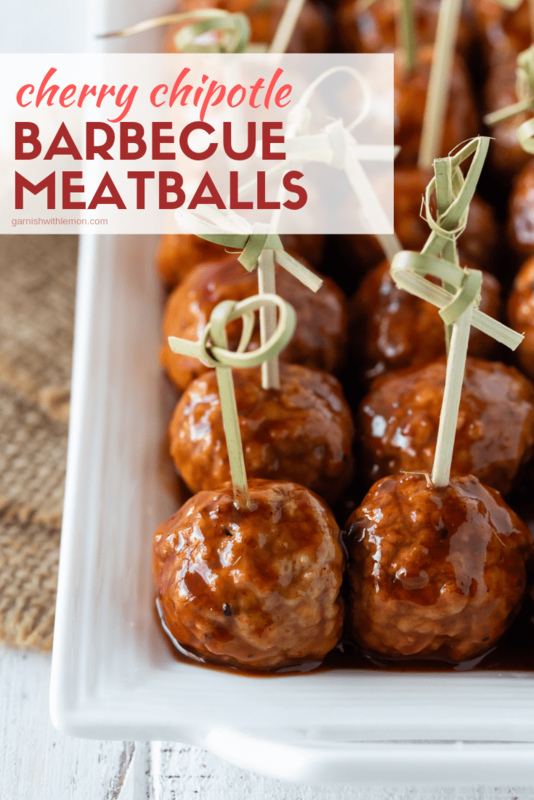 Spicy, sweet and easy to eat – that makes these meatballs my kind of tailgating food. And because I love the game just as much as my husband (any other ESPN Game Day lovers out there? ), I always look for appetizers that can be prepped ahead. I don’t want to be messing around in the kitchen when it’s game time, but I don’t want to sacrifice on my menu either. That’s why these Cherry Chipotle Barbecue Meatballs have earned MVP status. In fact, they are so good, you’re going to find yourself looking forward to football Saturdays just as much as I do. C’mon, jump on the bandwagon; it’s fun up here! Mix the barbecue sauce, cherry, jam and water in a slow cooker until combined. Stir in chipotle peppers and adobo sauce. Add meatballs and cook on low for 2 hours. Serve warm. Yum! I love fruity BBQ sauces. Never made one with cherries before. Can’t wait to try out your recipe! Thanks, Liz! The cherry adds such a great flavor to the sauce! Cherries! I love it! these look perfect…you sold me when you said they are perfect with an ice cold beer! Fall is pretty much the best season in Minnesota! If you don’t think of what’s to come…. 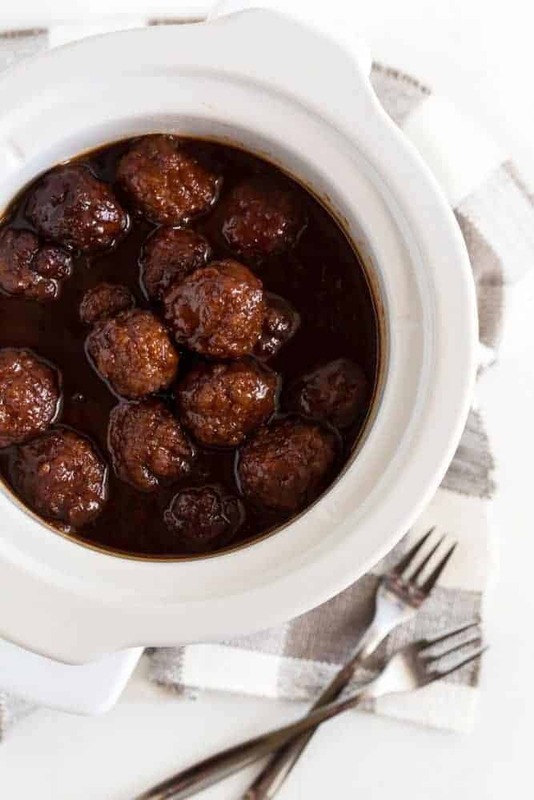 Love these saucy meatballs for a great game day food!